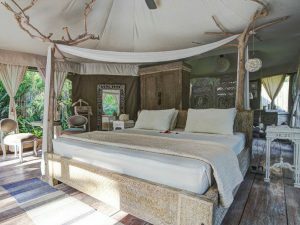 What do you want your first camping activity in Bali? 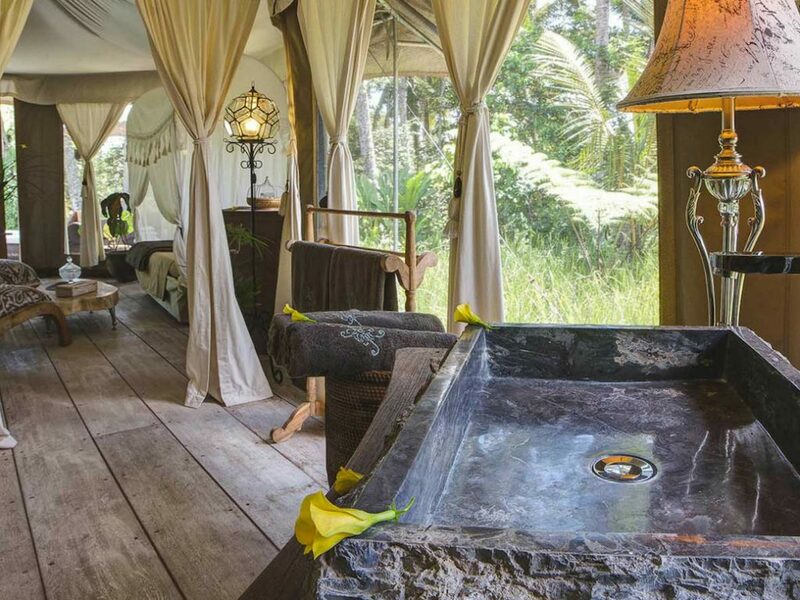 Nowadays, camping is not just about a survival game. 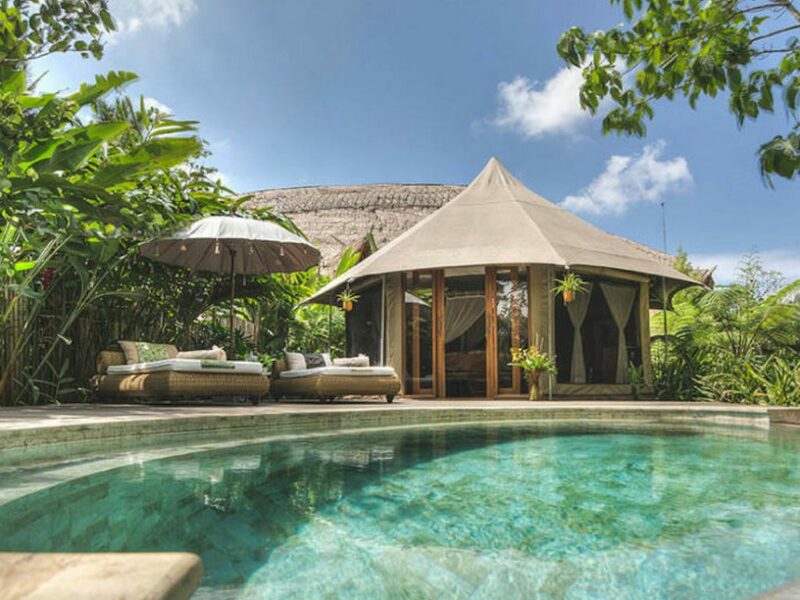 You can still get luxury and elegance while you are having your camping in Bali. 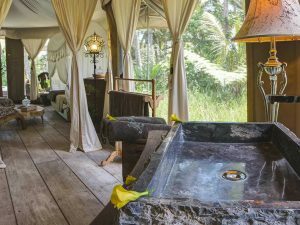 Being the first to offer a glamour camping experience in Ubud, Sandat Glamping is the best choice for your extraordinary holiday. 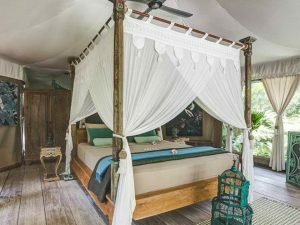 Situated very close to the nature of Ubud, Sandat Glamping is always ready to provide you privacy, luxury, and serenity. 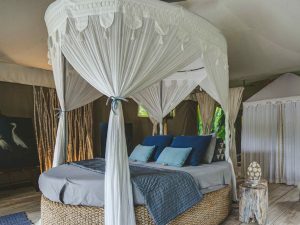 After your Ubud day out, you can chill out and relax in comfort and elegance in the Lounge and Bar of Sandat Glamping. You can go online. read books, listen to some relaxing music while sipping your traditional ginger tea. 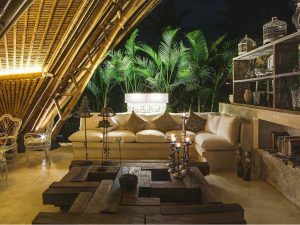 If you feel a little more social, playing chess or backgammon or hanging out with other guests are worth to try. Sandat Glamping is well-designed in the ultimate grandeur. 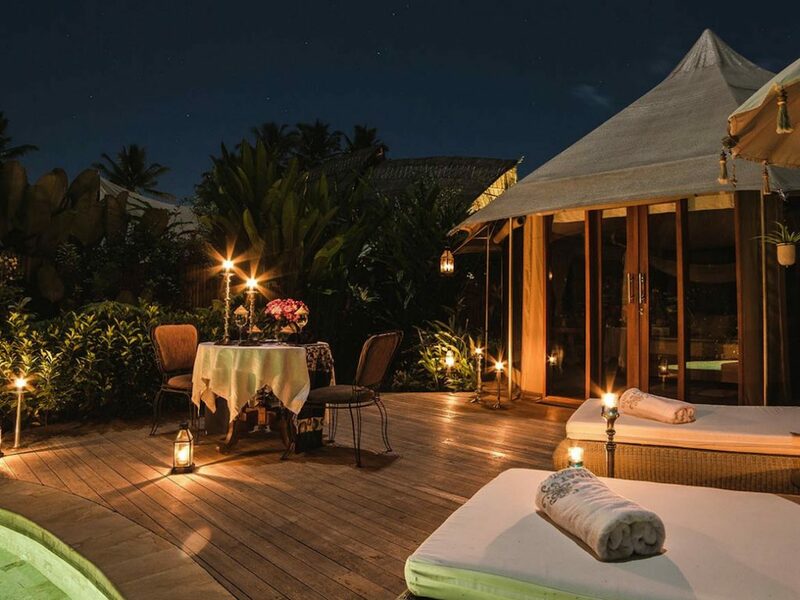 If you are staying with your loved one, why not hold a romantic dinner to get your partner cry in happiness? By having a romantic candlelight dinner under the blinking stars, you will fall in love once more, not only to your spouse, but also the atmosphere and everything that surrounds you that night. Perfect for lovebirds, especially honeymooners. While having your holiday, don’t forget to take care of your body. 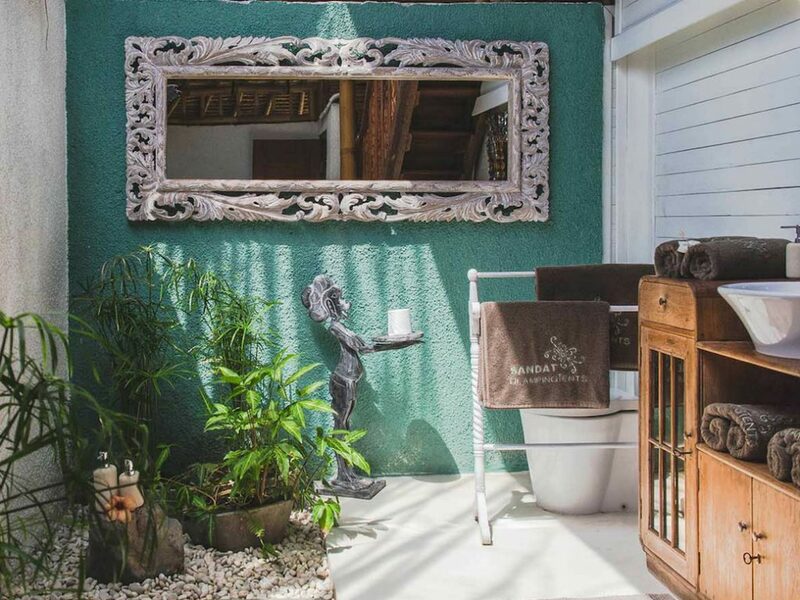 Remember that you are going on a vacation to treat yourself. 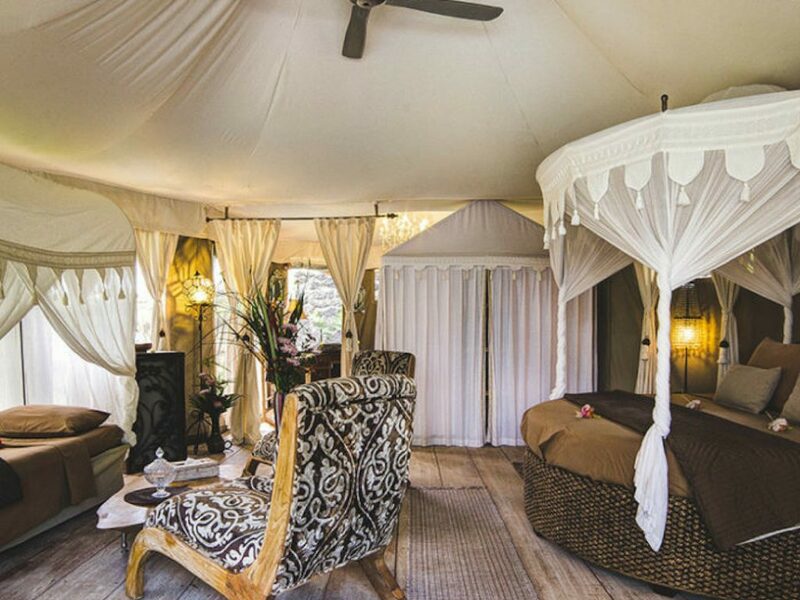 With its Relax & Spa facilities, Sandat Glamping is always ready to help you get an utmost relaxation. 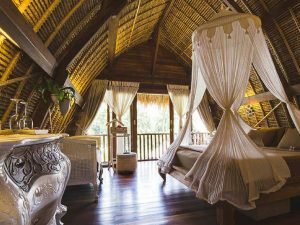 You can even request to have massage treatments in your room. Besides taking care of your body, take care of your soul. Don’t let your hectic holiday ruin your mood. Get your life balanced with some yoga and maditation. Sandat Glamping boasts a magnificent view of the nature in Ubud that will help you get relaxed in no time. 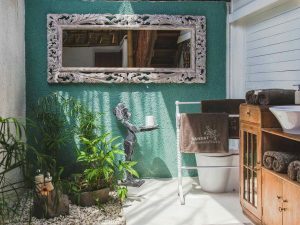 While you are in Ubud, don’t miss the excitement by only staying on your room. 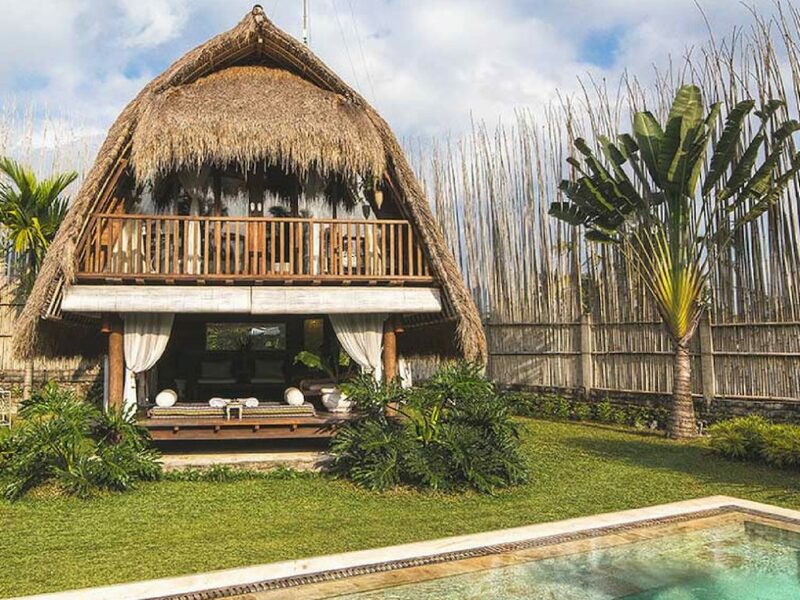 Ubud is too gorgeous to miss. 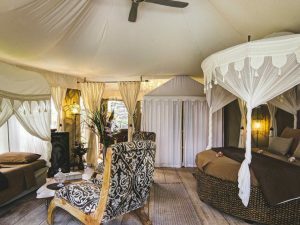 Staying in Sandat Glamping, you can join a cooking class. 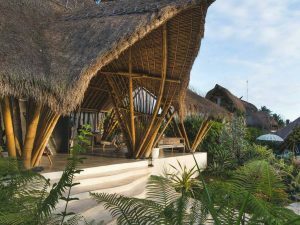 Learn how to make Balinese cuisine. Explore Bali’s traditional market and get to know Balinese spice. Besides, you can also join a cycling activity, temple-hopping tour, or a day trip to the center of Ubud. 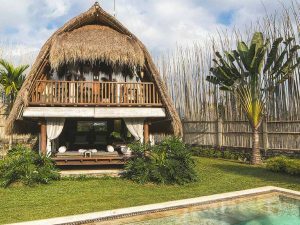 The Sacred Monkey Forest, Ubud Palace and Art Market, as well as the Campuhan Ridge Walk are some must-visit prominent tourist attractions in Ubud.